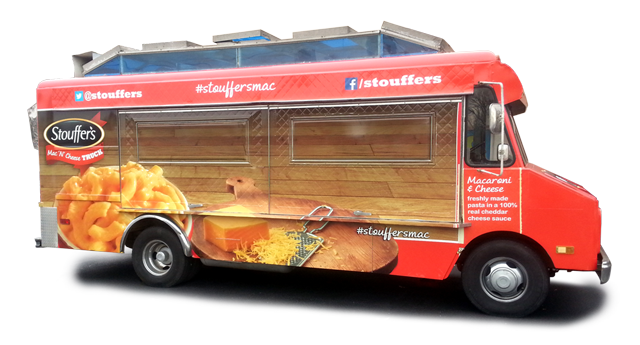 From FOXtv to Stouffers Foods, we are able to handle any size mobile marketing campaign. Local, regional or national, we can supply existing rental fleet vehicles, custom fabricate vehicles or sell you an existing gourmet food truck, or sampling vehicle for your mobile program. Support Vehicles Such as SUV’s, Box Trucks etc. We are your outsourcing solution. We can coordinate anything from a once day program to a national tour. We handle all aspects without you lifting a finger.